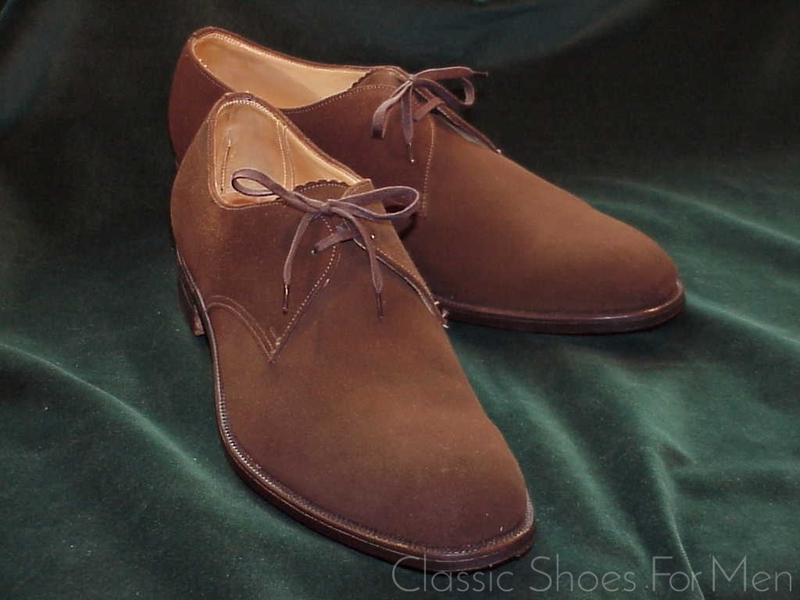 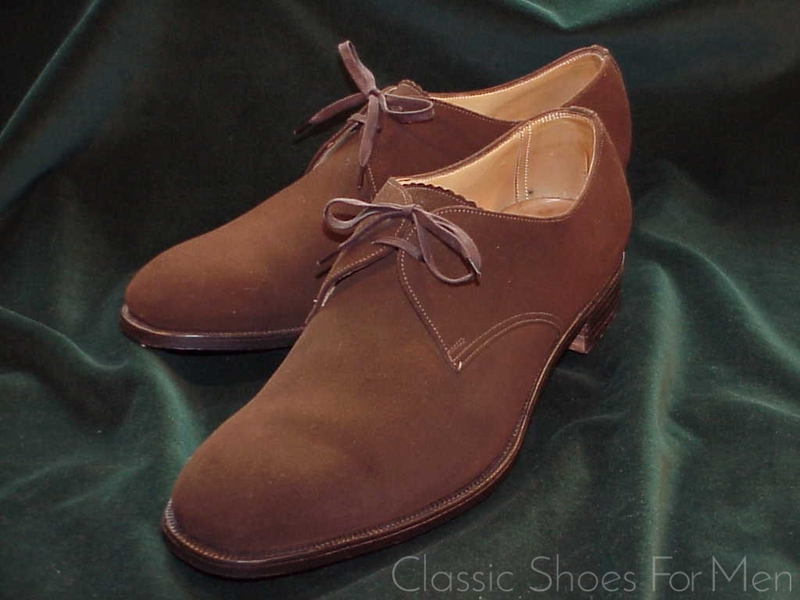 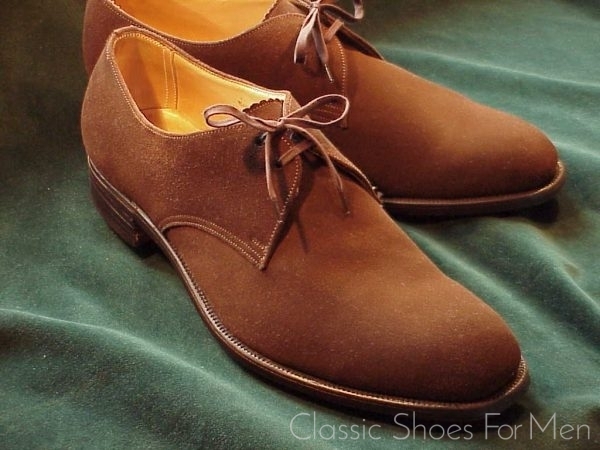 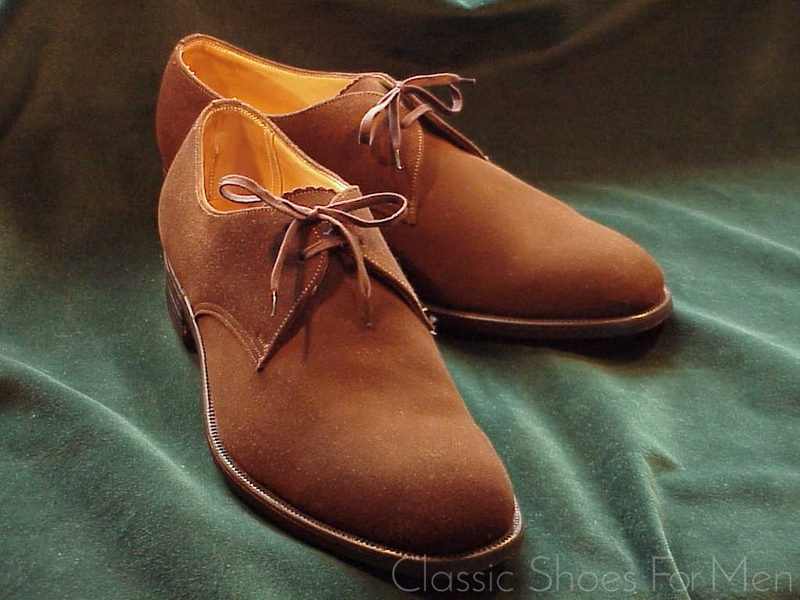 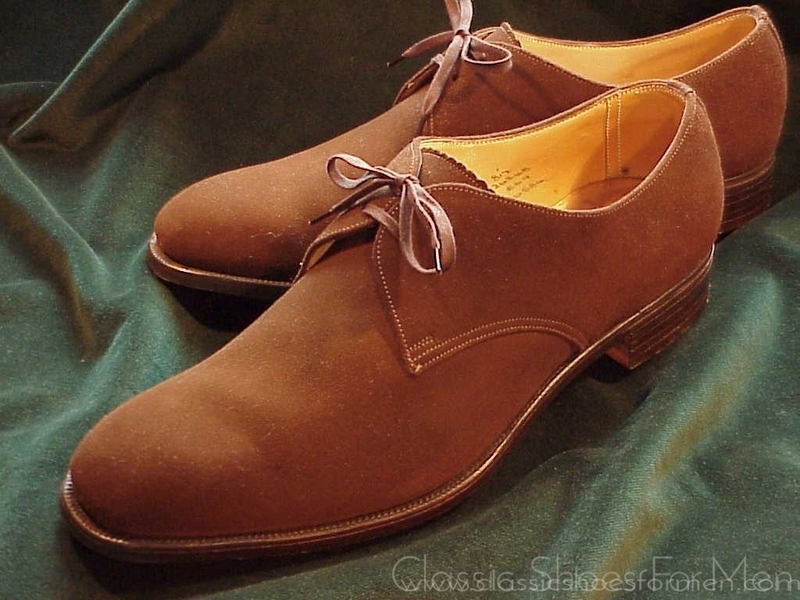 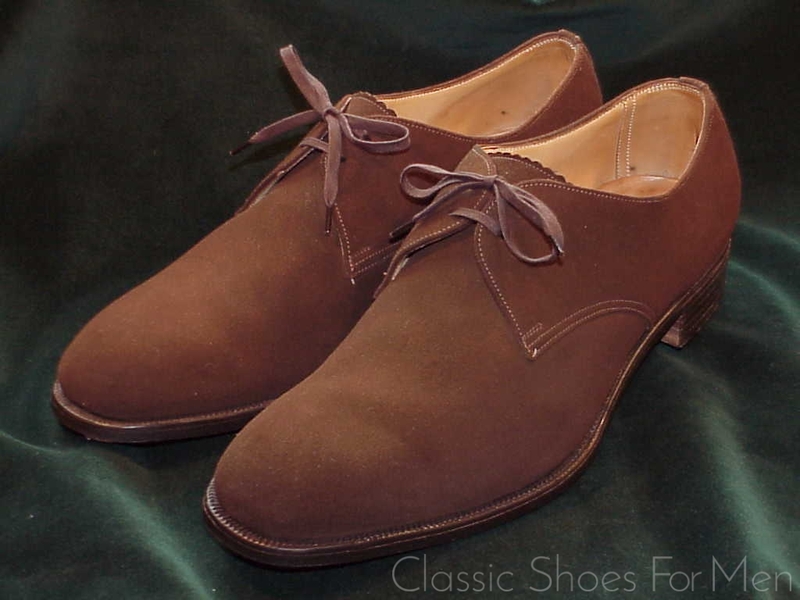 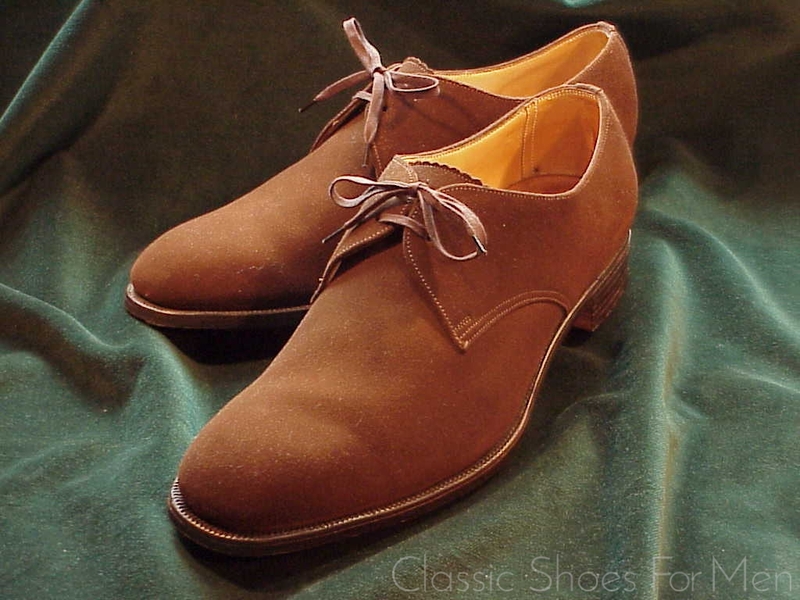 This is as elegant, as beautiful and as well made a Brown Suede 2-Eyelet Plain Front Derby (Blucher) as I have ever presented. This shoe is branded Kendal Milne & Co, Manchester, a very old and very high-end Manchester retailer dating back to the 19th century, part of the Harrod’s group, still in existence today as House of Fraser. 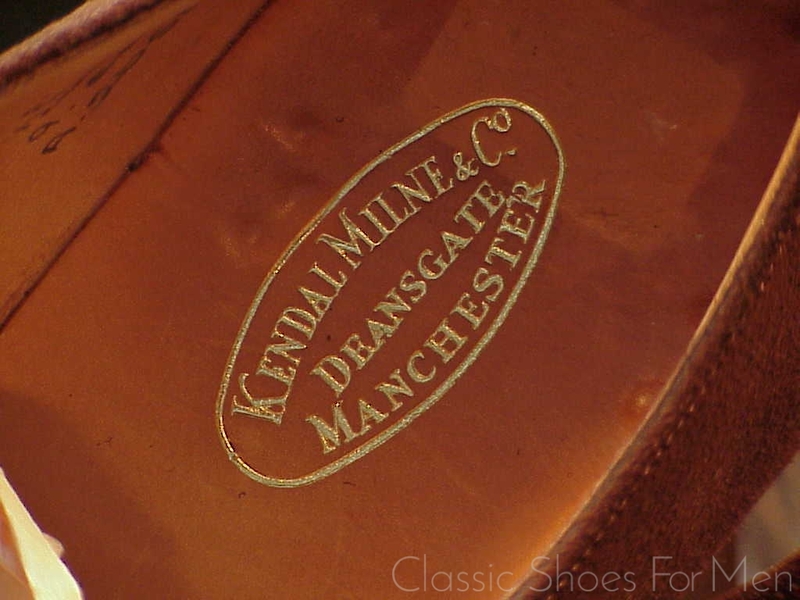 The Kendal name was in use until 2005 so these shoe must predate the name change. 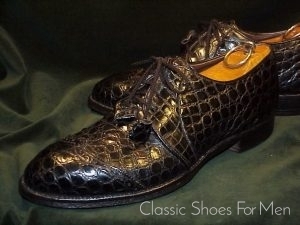 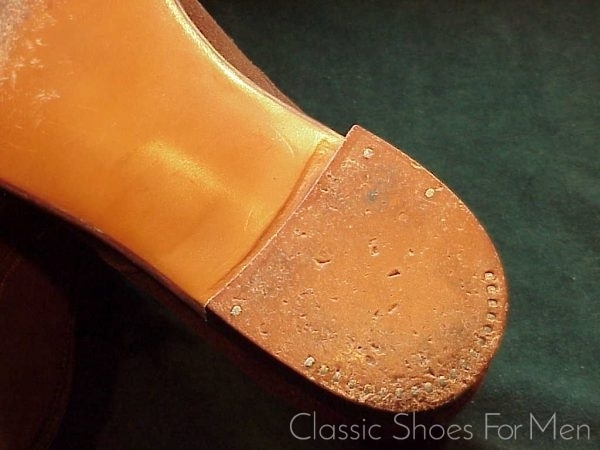 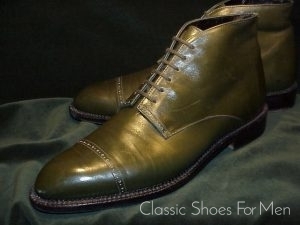 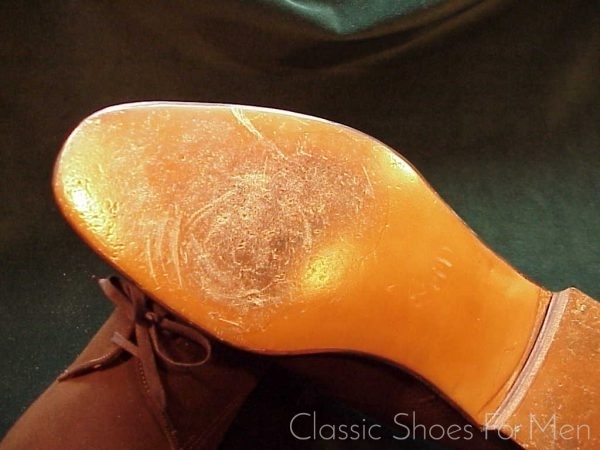 The condition is as new, “neuwertig”, tried on once but never really worn, and the quality of the manufacture is in the highest category, Edward Green, Lobb, or the “Hand Grade” of one or two other shoemakers. 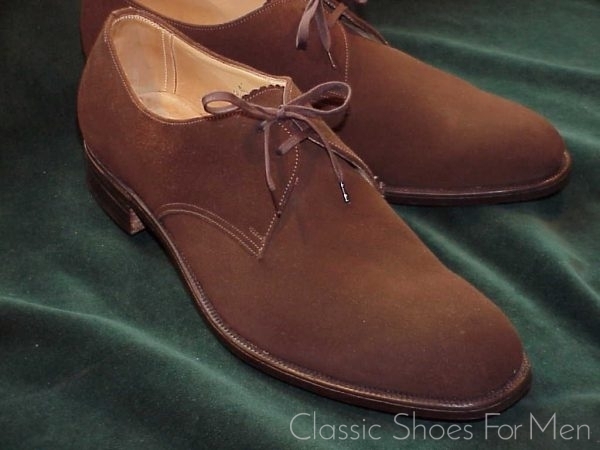 Channeled and skived welt, glove leather lining, dramatic last (Leist), all leather heel with hand-set nails in the earlier “bespoke” shoemaker style, and a quality of suede that equals Church’s legendary “Cape Buck” suede; in short the ultimate in a Brown Suede Lace-up. 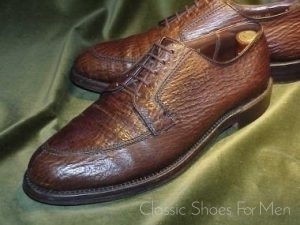 A personal favourite. 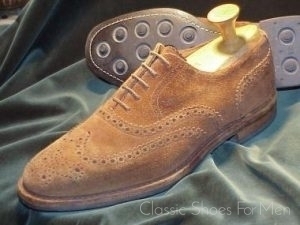 UK 9E.....US 10D.....Continental 43-43,5D, for the mid-with foot.